The Assassination of Gianni Versace: American Crime Story, the third season of the true crime anthology series has just begun filming and creator Ryan Murphy *just* joined Instagram to showcase what he’s been up to down in Miami. Murphy’s inaugural Instagram photo is not only our first image from the set, it’s also a major casting announcement. 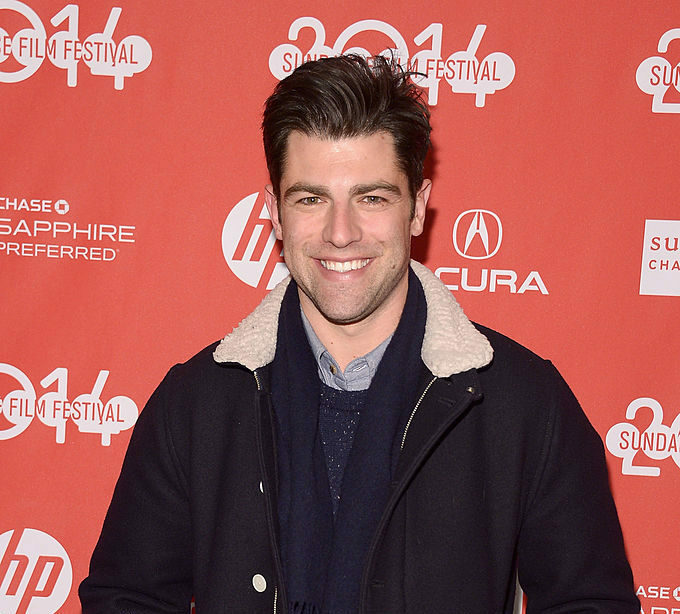 The photo reveals that New Girl star and American Horror Story alum Max Greenfield is joining the American Crime Story cast in a still-unnamed role. Armed with the shaved head, hoop earring, and new mustache (!! ), Greenfield looks nothing like the Schmidt we all know and love. In the picture, Greenfield and Darren Criss, who is playing serial killer Andrew Cunanan, look pretty serious. With the caption, “Do the hustle,” it seems Murphy is leaving us with a *lot* of questions. In addition to Criss, he’s is joining a serious talented cast, including Édgar Ramirez, who is playing Versace; Penélope Cruz, who is set to play Donatella Versace; and Ricky Martin, who is playing Versace’s longtime partner Antonio D’Amico. The third season of American Crime Story is centered around the 1997 murder of the famed fashion designer Versace at the hands of Cunanan and is based on the book Vulgar Favors by Vanity Fair writer Maureen Orth. Versace is set to air sometime next year and we can already sense the million awards it’ll be nominated for. Based on the photo it looks like Greenfield’s character (who is looking *very* ‘90s) is up to no good. Greenfield previously appeared in American Horror Story: Hotel, the fifth season of the massively popular anthology series.